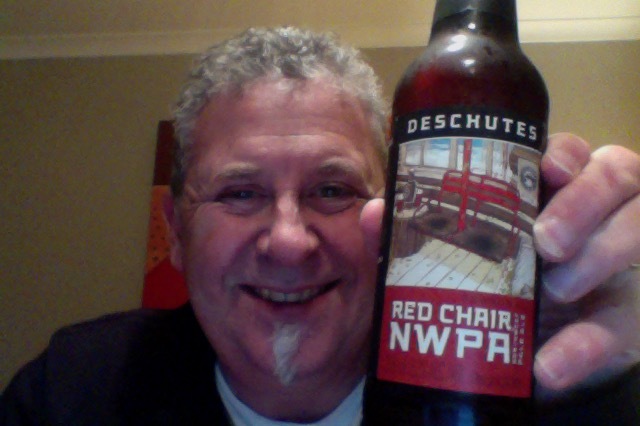 Deschutes Red Chair is the beer of the week for the beer club, on a night when I dropped a bottle of beer, which caused me untold sadness and grief, but I’ll get over it by buying another . The citrus punch of a big IPA, minus the one-dimensional hop sledgehammer. Seven select European and domestic malts round out the edges for a complex, copper-colored brew. An odd aroma on opening, like lots of malt, fruity as well. Dark hazelnut brown pour, darker than I expected, and it’s nice to see a beer with a decent head form, one that looks thick and with substance. In the glass you get sense of the hops but they are underneath that malt note. And there you go, the taste is lovely malty sweet with a lovely bitterness edge to it, syrupy fruity smoothness with a gentle but urgent finish. Goodness me. There is though a bit of an underlying battle going on between that malt and the hops and the dull thud of hops catches you occasionally, a green dankness, it’s fleeting but I noticed it a couple of times. Then you go again and it’s all lovely and sweetness. What’s not to like about that kind of risk/reward, and the reward is much better then the rich, this is a nice beer to drink and ponder over. Also, as an aside, this leaves a lovely and wonderful lacing in the glass, which for some reason I enjoy seeing, like the rings of enjoyment defending the glass.. The pdubyah-o-meter rates this as 8 of its things from the thing. The aroma really doesn’t give anything away with this, it’s a lovely drink that has sweetness, and a bitterness to it that work well together in a lovely way. Nice. Am I enjoying it? 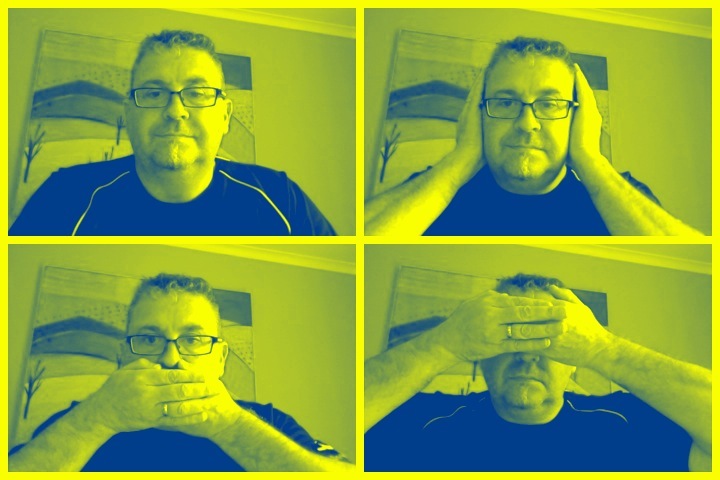 Yes, it’s less aggressive than I thought it might be. Would I have another? Yes. Would I share with a friend on a porch and set the world to rights? Yes, it’s nice beer, drinks well, offers up some lovely tastes and sensations without being full of itself or noisy enough that you want it out of there in a hurry, settle in have a couple it’s worth it. The Junction is an indie rock band formed in 2000 from Brampton, Ontario, Canada. 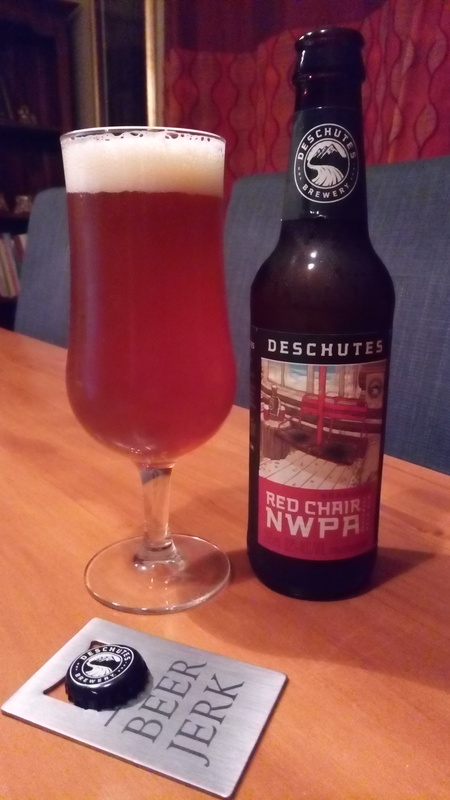 This entry was posted on June 1, 2017 by Philip Walter in American Pale Ale, Beer, Beer of the USA, Beer Review, Craft Beer, Critic, Deschutes and tagged Alcohol by volume, American Pale Ales, BeerJerk NZ, Bend, craft beer, Deschutes, Deschutes Red Chair, Oregon.